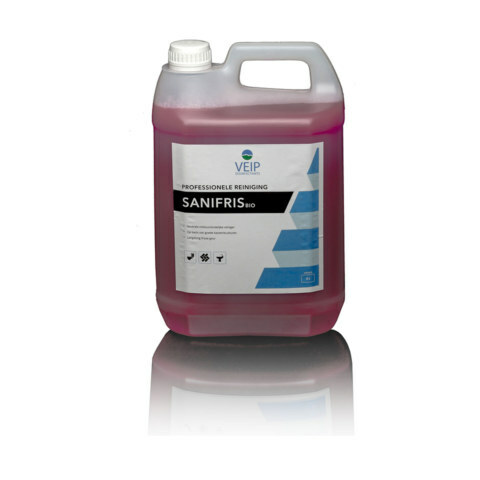 Sanifris Bio is a neutral sanitary cleaner with bacteria cultures that provide odor degradation. This cleaning product is pleasantly perfumed and provides a long-term fresh fragrance. The product is ineffective in combination with disinfectants. 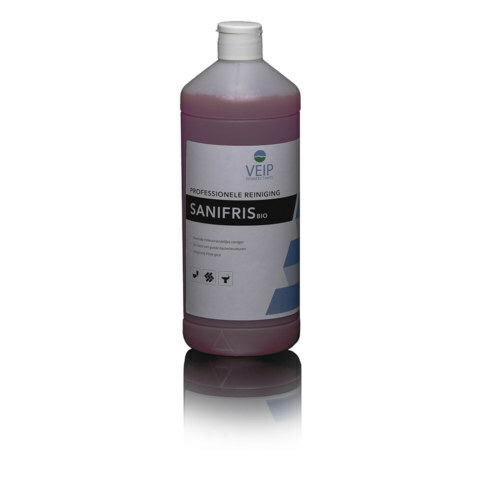 Sanifris Bio is specially developed for toilets that are used regularly and intensively (schools, bars, clubs, gas stations, etc.). The cleaner can be directly applied to contaminated surfaces (floors, walls, doors and plumbing). The standard dosage for floors and walls is 1:50. In special circumstances (hot weather) increase the dose to 1:25. Includes 1,2-benzisothiazol-3(2H)-on. Can cause allergic reactions. Before use, read the label and product information. Available in 1 liter and 5 liter package.